Partitions can only be grown when there is free space adjacent to it. 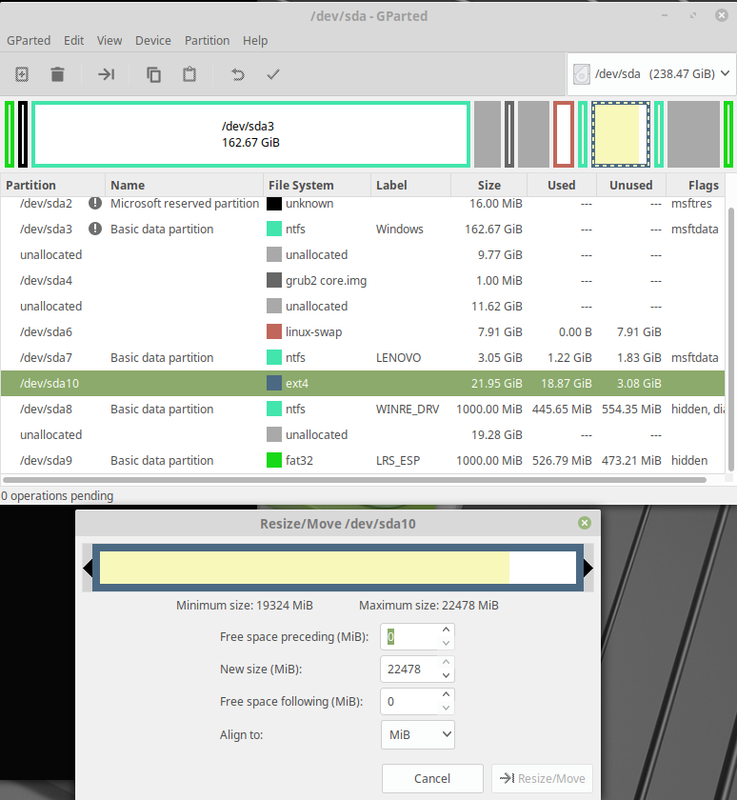 You need to move other partitions first. Implement either suggestion 1, suggestion 2 or both suggestion 1 & 2. Suggestion 1: Move sda8 (WINRE_DRV) to the right as much as possible. Suggestion 2: Move sda4 (grub2 core.img), sda6 (linux-swap) and sda7 (ntfs LENOVO) to the left as much as possible. Then you will be able to grow sda10 (ext4). P.S. Also by editing the initial post and adding [SOLVED] at the start of the topic subject, you will help others searching for similar issues.